I'll probably revise this later. Also might do a color variant later down the road, yeah...that'd be pretty rad. WOW--EEE! just like the inside, or cover, of "Tales of the Crypt," it's amazing. i love that sharp line. (who are all these people, are we having a secret professional illustrators and cartoonists convention on here? )perfect for Halloween!!! I've got an idea sincity... why don't you log in to draw??? What do ya think about that? Thank you, mintjelly. I'd like to work with some metal bands someday. Thank you guys for all the nice comments. I don't think you can, dorothy. Thanks, I was so stoked when I found out it got showcased. So much work put in this, it looks great, brilliant line work. And a congrats on the showcase! Very nice 5p00k3n5t31n! This reminds me of the Comic book series "Gunfighters In Hell"
I admire the work in this even though the subject matter isn't something to which I'm drawn. 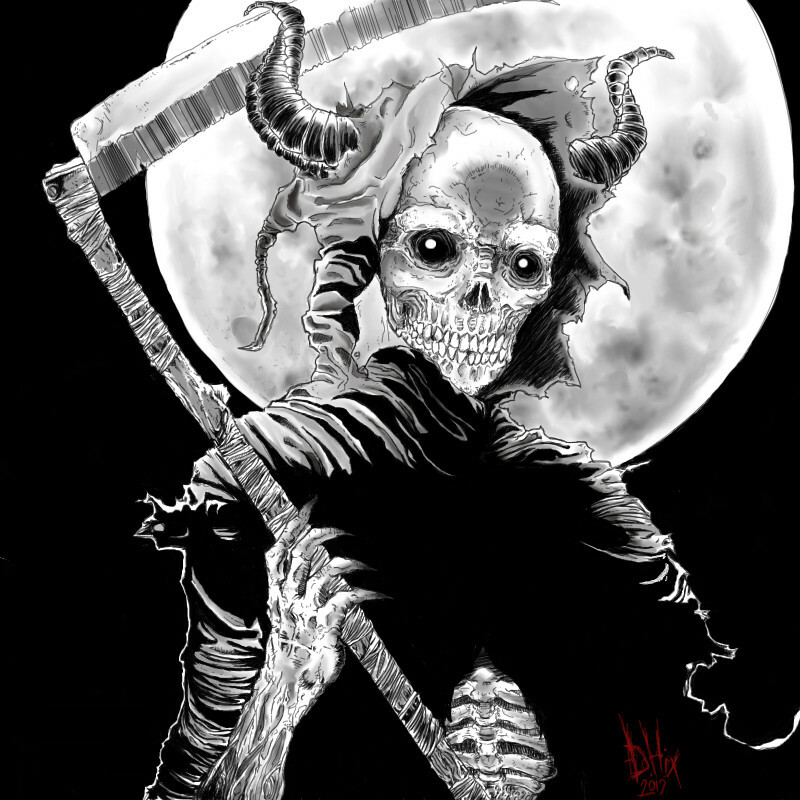 As I am quite a lot closer to the end than the beginning of life, Mr. Death kinda loses his gothic/romantic appeal. Congrats on the recognition of a Showcase. Well deserved.